Welcome to the website of John J. Fox, former Army officer, pilot and lifelong student of the War Between the States. 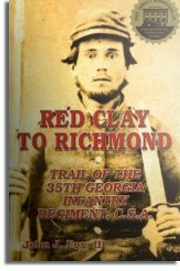 This website contains information about my writing and civil war books. Thank you for visiting here and thank you for your interest in the history of this great country, the United States of America. I also want to thank all the great teachers (especially English & History) I had through the years who either beat sentence structure into my head or made the past come alive. January 31, 2017 – I am pleased to announce that the February 2017 issue of Civil War Times has my feature article Confederate Alamo on pg. 34. 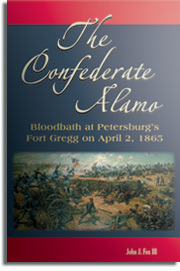 This article is based on my 2010 book The Confederate Alamo: Bloodbath at Petersburg’s Fort Gregg. 2014 IPPY Award [Independent Publisher] Bronze Book Award for Best Regional Non-Fiction in Mid-Atlantic. 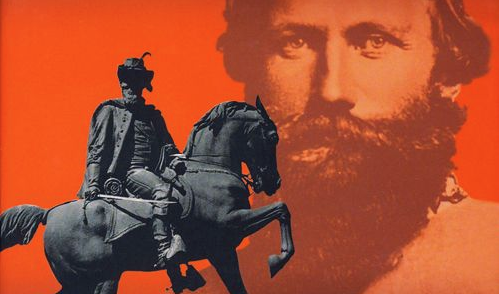 Many people are aware that J. E. B. Stuart was a famous cavalry general who rode for the Confederacy. Yet, how did this twenty-nine-year-old former U. S. Army lieutenant become the 1860’s version of a media sensation? What did he do to become a household name throughout the land? At the beginning of June 1862, George McClellan’s huge Union army stood poised to decimate the Confederate capital of Richmond. The city faced chaos as thousands of civilians fled. Confederate army commander Robert E. Lee wanted to launch his own attack but he needed to know what stood on McClellan’s right flank. 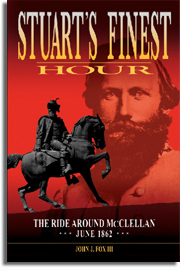 John Fox’s upcoming book, Stuart’s Finest Hour, places the reader in the dusty saddle with Stuart’s men as they recon Hanover and New Kent counties. Using eyewitness accounts, this first ever book written about the raid follows Stuart’s 110 mile route, deep behind enemy lines, all the while chased by Union troopers commanded by Stuart’s father-in-law, Philip St. George Cooke.